Estadio Mineirao is located in Belo Horizonte, in Minas Gerais state in Brazil. It has undergone a comprehensive overhaul and its capacity is now 64,000 people. Some of the modernization undertaken here includes improvement of stadium accessibility, pitch surface lowering, techniques of capturing rainwater, and storing that rainwater (up to 6,270,000 liters), and reusing it. This stadium will host six matches of the FIFA World Cup 2014 including an important semi-final match. 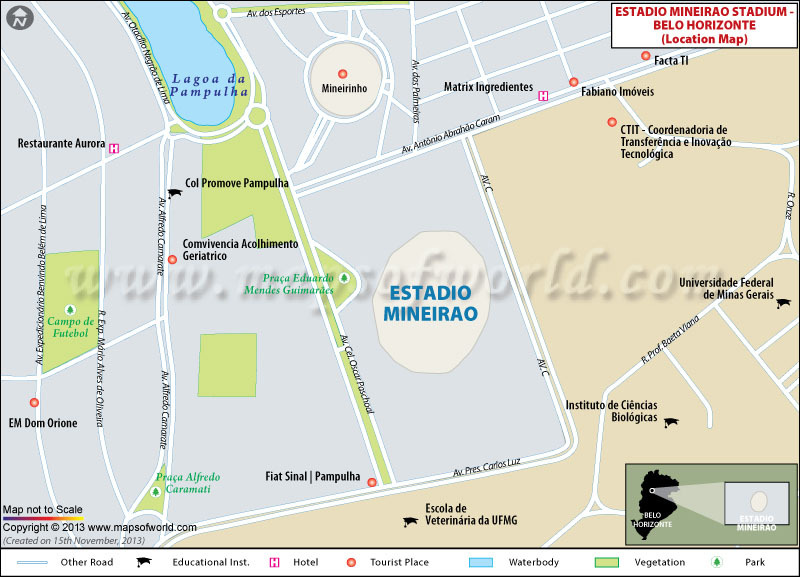 Estadio Mineirao is a property of the state government and was inaugurated on December 5, 1965. Its official name is Estadio Governador Magalhaes Pinto but is commonly called as Mineirão. Some of the football legends who regularly play here include Ronaldo, Dario, Reinaldo, and Tostao. Belo Horizonte is the largest city of Minas Gerais, which is located in the south-east of Brazil. In the urban core of the city, more than 2.4 million people live there, which makes it the 6th most populous city of the country. Belo Horizonte is spread over an area of 330.9 km². The Gross Domestic Product of Belo Horizonte is US$26,2 billion and the per capita income is US$10,820. The services sector is the economic driver of this city. Processing and distribution centers of mining and agriculture are mainly based here. Tourism also plays an important role in the economic life of the city. Tourists and football aficionados will find enough hotels for accommodation (budget as well as economical), restaurants, and drinking places in Belo Horizonte. Some of the must visit places of Belo Horizonte are Pampulha, Mangabeiras Park, Museum of Arts and Crafts, Praça da Liberdade, Parque Municipal, Alta Vila Tower, and﻿ Museu Histórico Abílio Barreto. 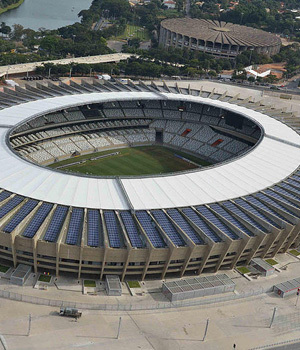 Mineirao is situated in the northern part of Belo Horizonte, which is around 9 kms away from the city center. The most convenient form of transport is bus. Bus number 64 can be taken to reach Estadio Mineirao. You can also take the bus whose final destination is Estacao Venda Nova. By taking this bus you can get down at the stadium. Prices of tickets vary on the basis of section, category, and date. Ticket prices vary from $548 to $1,325.